Previous PostPilot Contamination is Not Captured by the MSENext PostAre Pilots and Data Transmitted With the Same Power? Very interesting article, I really enjoyed reading it. P.S: Is it possible to share the simulation codes of your paper 1 and paper 2? Thanks, glad you did! The simulation code is proprietary. You may find details on the simulation set-up in [Paper1]. Feel free to contact the authors if you have any doubts. 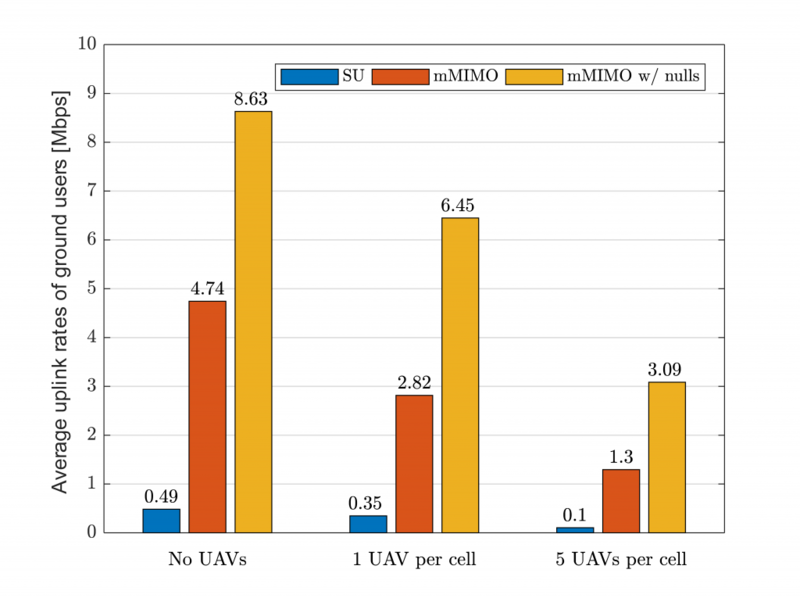 [Paper1] G. Geraci, A. Garcia Rodriguez, L. Galati Giordano, D. López-Pérez, and E. Björnson, “Understanding UAV Cellular Communications: From Existing Networks to Massive MIMO”, to appear in IEEE Access, available as https://arxiv.org/pdf/1804.08489.pdf. Hi, very interesting paper. It seems that the papers focus on one LOS path, actually may be multiple paths in practice. What will it be if we consider fading with multiple paths? 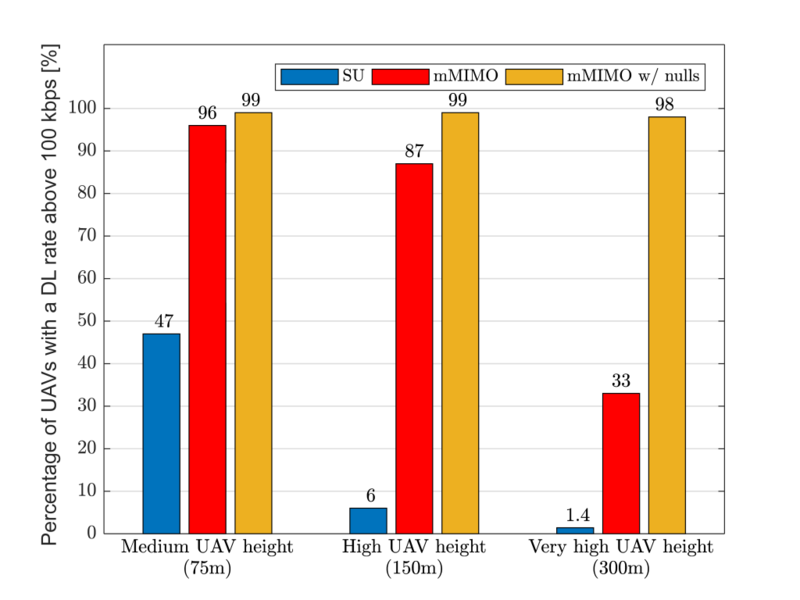 Massive MIMO can also help improve the performance in that situation? The simulation uses a 3GPP channel model which includes LOS path and scattering.